Get it while it’s hot. It’s the penultimate edition of BF90 with Wynonna and the WU-Tang Clan mingling. Both of these tunes are simply middle-of-the-road country tunes from an artist that seemed past her prime from the moment of her first hit. By this point, everyone has heard her ’00-’01 hit “I Hope You Dance” and really, you don’t need to bother with anything else. 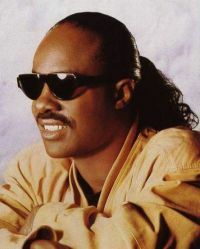 I absolutely love seeing Stevie Wonder doing anything these days as it’s only a matter of seconds before he feels the need to break into some sort of song, no matter what the reason he’s on screen is. As far as these songs go, although you don’t think of “Gotta Have You” as the type of song suited for Stevie Wonder, he actually crafted it for his soundtrack to Jungle Fever, which worked quite well. “For Your Love” is more of what you think Stevie Wonder would have been doing at this point in his career. It came from Conversation Peace, which was his first non-soundtrack release since 1987’s Characters. The album was boring as hell but this single was actually pretty solid. And it won a few Grammys as well, which likely means next to nothing in the end. I can’t even begin to explain how much I grew to hate this song within a few years of release. Not only was it on radio and TV every 10 minutes in 1996 but in the coming years, TV networks played the living bejezzus out of this movie, so I think I (and probably half the world) heard this song 10,000 times in the span of three years or so. Thankfully, the movie stopped airing after a while and listening right now is the first time in at least four or five years that it’s graced my ears. While the song is credited to The Wonders, which is the fictional band from the movie, it was actually sung by Popdose favorite, Mike Viola. While they’ll forever be known for “Rump Shaker,” Wreckx-N-Effect were actually better than their legacy will show. They started out as a four piece with a more fun vibe like say…Kid N’ Play. But after one of the original members was shot and killed, they turned into a duo and with the guidance of Teddy Riley, turned into the booty lovers that you knew in the early part of the ‘90s. One half of the duo – Markell Riley – was Teddy’s brother. It’s funny to what the video for “Method Man” and see how young all of these guys were at this time. They’ve certainly matured since this point though it’s not even debatable if they ever made anything close to the quality of their debut Enter the Wu-Tang (36 Chambers). With this series almost being over, it might be time for me to get to my often threatened Popdose guide to the Wu-Tang Clan. 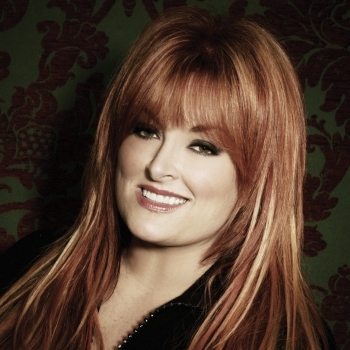 Am I the only one that had a major crush on Wynonna Judd and her big brown beaver (oh, wait, that’s a different Wynonna)? I like women with a little body on them and love redheads, so I always thought Wynonna was pretty hot, though frankly, I had no interest in her music. Listening to these songs now – I actually really like them. More so really than many of the other country crossover artists that made this series. Of all the generic R&B artists of the decade, Xscape had something that made them stand out. Even to this day, I have no idea what that was but they were good. In fact, they were really good and it led to hits for nearly the entire decade. The Clan of Xymox showing up in this series is pretty damn amazing. Though “Imagination” has a very Pet Shop Boys feel to it, it’s still weird to see such an oddball in here. Xzibit is well respected in the rap game and listening to some of his music, he was a pretty good rapper but all I remember him for is Pimp My Ride. That really helped make him into a household name but it didn’t do anything for his rap career.